The news of the most expensive divorce that is going to happen between the Amazon founder and his wife was a quick hit over the internet. Just after the news broke in, a tabloid revealed that he’d been having an affair, releasing texts and photos of him and his mistress. And adding to these recently Jeff has accused in a blog that the National Enquirer is trying to blackmail him by threatening to release more intimate photos of him if he does not call off an investigation into how that information was obtained in the first place. But despite all these negative things happening in the life of Jeff, Amazon is having a usual business day. As per analysts and experts, these scenes would not have much effect on Amazon, the company Bezos has steered from an online bookstore two decades ago to a worldwide juggernaut. Other said Bezos is quite efficient at multi-tasking. He has been able to balance his responsibilities at the helm of the world’s largest online retailer while also juggling his other pursuits: running a space exploration company and being the owner of one of the nation’s most influential newspapers, the Washington Post. To keep the investors calm, Amazon has a steady line of long-time executives who are running each of its businesses. Jeffrey Wilke runs the retail business, and Andrew Jassy looks after the company’s fastest growing cloud computing business Amazon Web Services. Both of them have been working at the company since the 1990s. 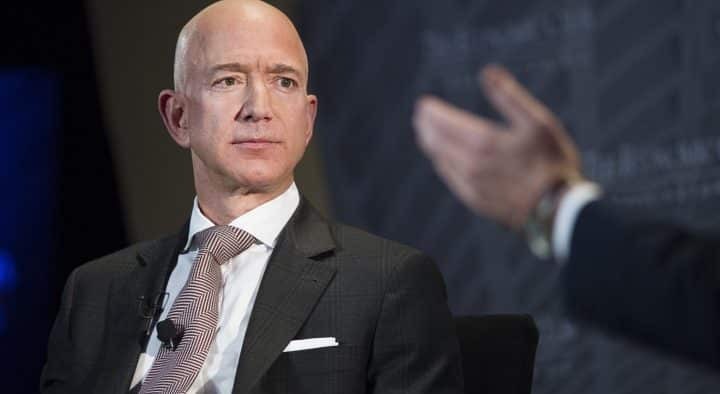 And unlike other CEOs, Bezos never speaks at conference calls with analysts and investors after the company releases its financial reports, instead of leaving that to Chief Financial Officer Brian Olsavsky, who has been serving at the company since 2002. Still, there have been doubts by the Enquirer looming over Jeff Bezos’s efficiency at the moment on overseeing his company. However, the Seattle based e-commerce giant, Amazon did not comment on Bezos. The company’s stock also has not affected much. It slipped by 1.6 percent only at Friday’s close. Meanwhile, the Enquirer’s publisher, American Media Inc., is denyingBezos’ claims that Enquirer used “extortion and blackmail” in reporting its story. It said the firm has acted lawfully. He also added he wants to focus on work as he had hired a person to handle the investigation into how his texts were leaked to the Enquirer, he will also be tasked with “protecting” his time. However, Bezos’ decision making inefficiency, unlike Tesla’s CEO Elon Musk, is only seen on the context of personal relationship not on the management of the company. It should be noted that Elon Musk’s behavior has caused the electric automaker’s stock to rise and fall. Musk has recently been removed of his chairman seat and asked to pay a $20 million penalty to the SEC (Securities and Exchange Commission) for allegedly misleading investors with tweets about a plan to take the company private. David Larcker, a professor at the Stanford Graduate School of Business, says it is entirely on the shareholders and the board of directors to judge and decide how the CEO is engaged in his work and whether he should step out. Bezos is the chairman of the board and the largest shareholder of the company having a 16 percent stake. Amazon shoppers are unlikely to be affected by these dramas.